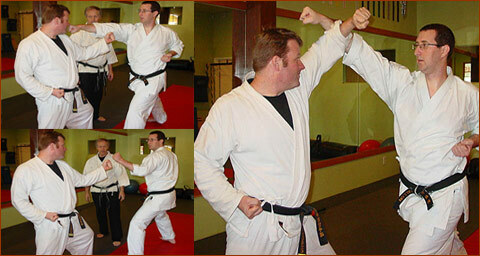 At the Beverly Hills Karate Academy our main objective in the adult program is to improve our students’ physical condition and to teach them superior self-defense skills in case they ever need it. We also teach our students to focus their energies in a positive way to meet the challenges of everyday life. 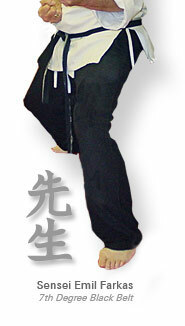 Regardless of the martial arts system one chooses to learn, the emphasis first is to get our students in top physical condition with strength training, flexibility training and a full aerobic workout to increase endurance and maintain a healthy weight. In our martial arts classes, the focus is always on giving the students the skills necessary to respond to any type of confrontation quickly, effectively and with confidence so they can overcome any aggressor with ease. 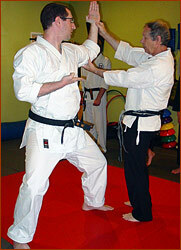 An added bonus of martial arts training is its great stress reduction benefits. When you work out vigorously by punching, kicking and striking, much of your tension and stress evaporates and a sense of calm and peacefulness takes over. Many of our adult students remark that the stress relief they gain from training is one of the most value benefits of a martial arts workout. 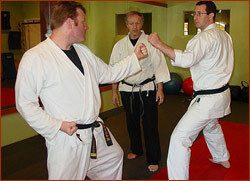 If you want to relieve tension and stress, gain self confidence, burn calories and boost energy, as well as become a skilled fighter, any of the adult martial arts programs at the Beverly Hills Karate Academy will give you all that and more. Don’t hesitate; come in and try a free class—it will change your life. 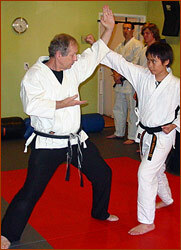 For a full schedule of adult classes, please call the Beverly Hills Karate Academy at (310) 275-2661. Home | About Us | What We Teach | FAQ |Contact/Location | Store| History Of Karate | Copyright© 2010 Beverly Hills Karate Academy. All rights reserved.